Enjoy lodge accommodations Saturday to Saturday or Tuesday to Tuesday and get in seven (7) full days of fishing! Ideal for fishing couples or for you and another fishing partner. You will share a room, guide, boat, and motor during your stay. Seven (7) full days of fishing. This trip assures you of complete privacy, with exclusive use of your own single occupancy room, guide, boat, and motor throughout your stay - so you can fish when, where and however you please! Three (3) full days of fishing. 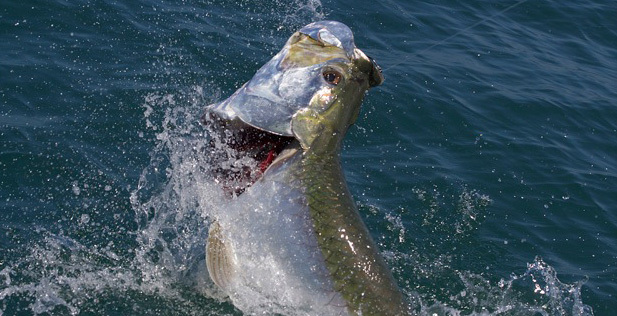 Can't take a full week off, but still want to sample the thrill of fishing Parismina at its best? The Saturday-to-Monday special lets you enjoy three (3) full days of fishing. Arrive at the lodge Saturday morning early, fish Saturday through Monday, and depart the lodge Tuesday morning. Book your trip today! A Tuesday-to-Saturday trip designed to let you enjoy four (4) full days of fishing excitement, yet still get to where you need to go by the early weekend. Arrive at the lodge early Tuesday morning, fish Tuesday through Friday, then depart the lodge Saturday morning. Must be two couples or multiples of two. Ideal for couples when one spouse does not want to fish. Enjoy lodge accommodations and a full seven (7) days of fishing! This package works best for 2-6 couples. (must be two non-fishing or multiples of 2). Non-fishing Activities include: Sightseeing Parismina, National Park Tour, Night Sea Turtle Excursion, Swimming Pool & Jacuzzi. The only items not covered in the package prices are those of a personal nature and the tipping of your guide, cooks, and staff. Extras include anyting that you might wish to purchase in our tackle/gift shop. All sodas, beer, and domestic liquors are complimentary. However, if you want a special brand of liquor, it is best to bring your own. Fishing license. Travel between United States and Costa Rica. Tips to guides and lodge staff and items of a personal nature and terminal tackle and lures. All packages described include basic pre-scheduled travel between Rio Parismina and San Jose. International flights and meals (while in San Jose) are not included in the above package prices. Because of the schedules of international flights between the United States and Costa Rica, you should normally allow one night in San Jose at the beginning and at the end of your trip. Ask your travel agent or Fishing Tours International representative for details. Reservations require a 50% deposit. Balance of package price due 60 days prior to departure. or use our on-line information request form.